Povestea printesei Grace Kelly m-a fascinat dintotdeuna. Fiindca e atat de reala, fiindca nu e o fila de poveste, ci o lectie despre ambitie si datorie, despre frumusete si stil, despre feminitate si putere. Am pasit in Cannes inspirata de povestea printesei mele favorite, care in 1955 isi intalnea printul, in holul hotelului Carlton din Cannes. Povestea a devenit deja un basm, atat de frumos incorporat in istoria orasului si a festivalului de la Cannes. Iconicul hotel Carlton ii omagiaza din plin prezenta, avand inclusiv un apartament grandios ce ii poarta numele. Ador hotelurile istorice si povestile pe care acestea le poarta ascunse printre draperiile de catifea. Iar Carlton, pare sa ascunda multe povesti, de la Grace Kelly, la Sophia Loren sau Angelina Jolie. Azi Cannes inseamna in primul rand Festival, evenimentul din luna mai, fiind centrul de interes al cinematografiei mondiale. Cannes inseamna cele mai luxoase hoteluri de pe Coasta de Azur, vedete internationale, masini exotice in editii limitate; Cannes inseamna La Croisette, magazine de lux si yachturi private plutind in apa azurie a Mediteranei. Cannes este fara indoiala " vedeta" Rivierei Franceze; Cannes este sinonim cu luxul, unde vedetele coboara de pe yachturi pentru a pasi pe celebrul bulevard le Croisette. Pentru mine Cannes, ramane locul unde basmele cu printese au devenit realitate. Unde visele nu par prea marete; unde aspiratiile proprii te fac mai puternic, daca stii sa lupti pentru ele; unde acceptarea propriului rol si destin te transforma in printesa....care ti-ai dorit dintotdeauna sa fii! “Fairytales tell imaginary stories. Me, I’m a living person. I exist. The story of Princess Grace Kelly has always fascinated me. Because it is so real, and most of all a lesson about about ambition and debt, about beauty and style, femininity and power. 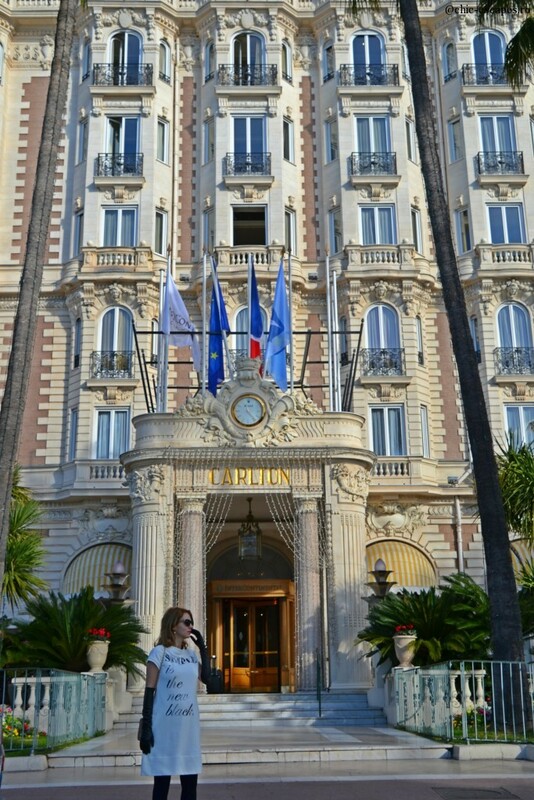 I stepped into Cannes inspired by my favourite princess story that met her prince in 1955, in the lobby of Carlton Hotel in Cannes. The story has turned into a fairy tale, part of the city’s recent history. 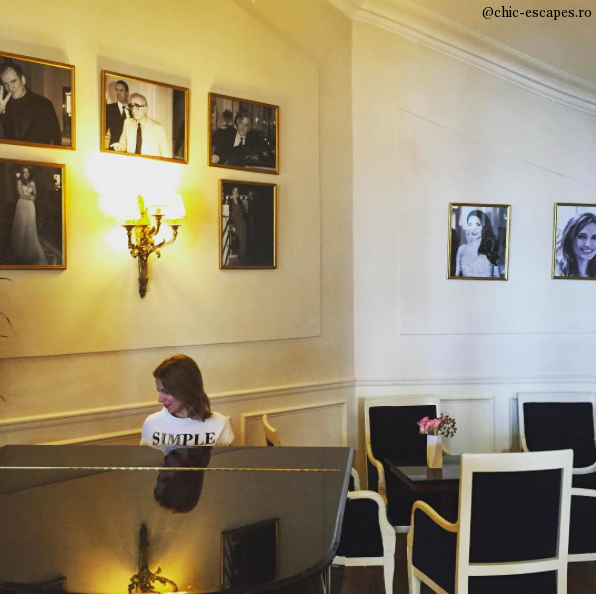 The iconic Carlton Hotel offers a somptuos apartment with grandiose that bears her name. I love historic hotels and untold stories hidden behind velvet curtains. 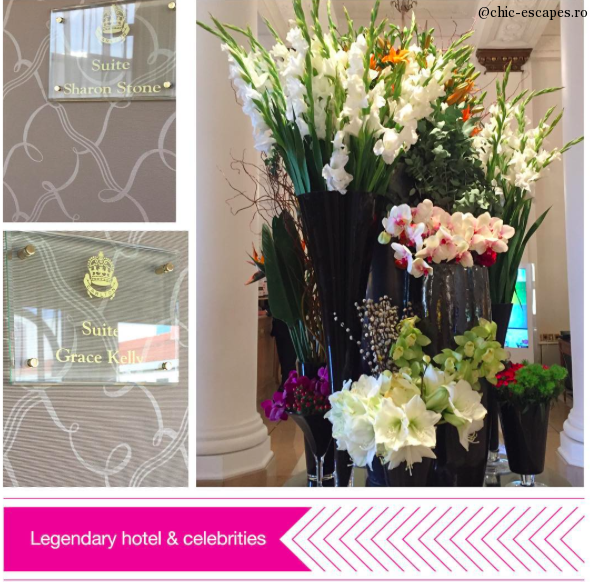 And Carlton Hotel, seems to hide many stories, from Grace Kelly, Sophia Loren and Angelina Jolie and many more. Nowadays, Cannes is synonymous with Festival, the event that takes place in May, the focus of world cinema. 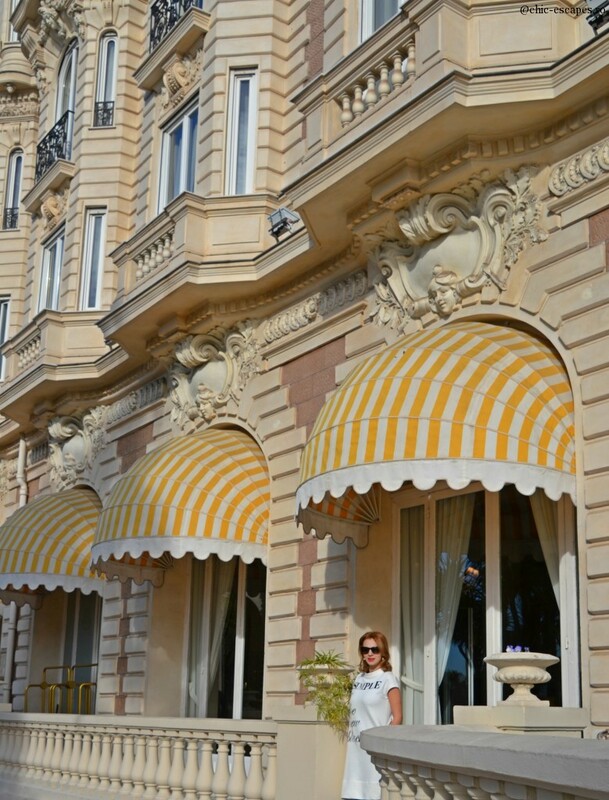 Cannes means most luxurious hotels on the Cote d'Azur, international celebrities, limited edition exotic cars; Cannes means La Croisette, luxury shops and private yachts floating in the azure water of the Mediterranean. 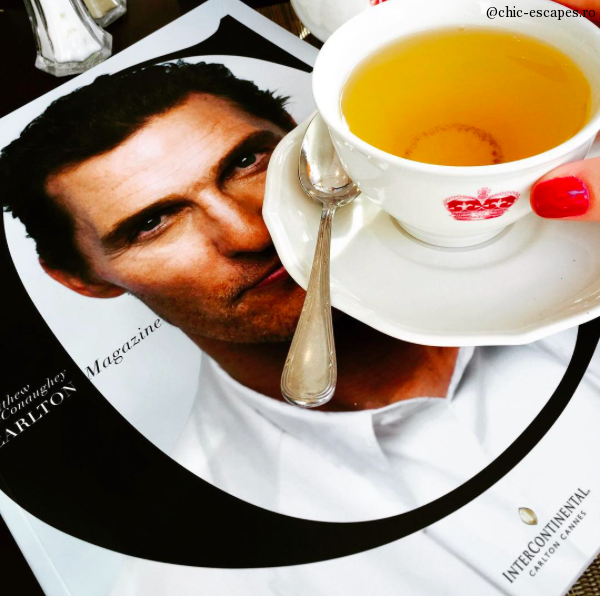 Cannes is undoubtedly the "star" of the French Riviera; Cannes is synonymous with luxury, where the stars step down from their yachts to shop on the famous boulevard La Croisette. For me, Cannes remains the place where princess fairytales turn into reality. Where you can dream big, dreams; where aspirations make you stronger if you know how to fight for them; where acceptance of one’s role and destiny transform your…. Into the princess that you've always wanted to be! Fashion: Moschino dress, Dolce&Gabbana cross body bag!